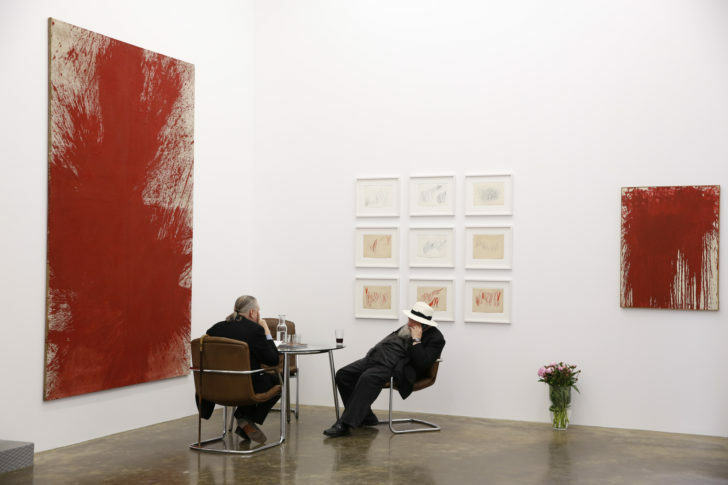 The Nitsch Foundation was founded in 2009 to support and promote the position of the artist Hermann Nitsch and his total work of art. Among the key tasks serving this goal are raising awareness for the intellectual superstructure to his work, the publishing of books and editions, the organizing of exhibitions and lecture series, the performing of archival and documentation tasks, as well as the development of the catalogue raisonné. The ongoing and cooperative pursuit of these tasks is the principle guiding the activities of the Nitsch Foundation. In terms of its own self-understanding, the Nitsch Foundation is an institution that, as a registered association, performs these tasks to realize the goals defined in the mission statement. The Foundation is comprised of the bodies of the association, the management and an international advisory board. All of the Foundation’s activities are undertaken in close cooperation with Rita and Hermann Nitsch as well as the Atelier Hermann Nitsch. – Hermann Nitsch on October 22, 2009.